Air Safaris - Lake Tekapo, Lake Teakpo, Canterbury. Information, Photos and Reviews. Join Air Safaris on a flight of a lifetime, exploring New Zealand's highest mountains and largest glaciers. The 'Grand Traverse' is New Zealand's premier scenic flight, taking passengers on a spectacular 50 minute, 200km flight from Lake Tekapo, over the golden tussock lands and turquoise glacier lakes of the Mackenzie basin, through valleys, over our longest glaciers - the Tasman, Murchison, Franz Josef and Fox and around our highest mountains, Mt Cook and Mt Tasman. 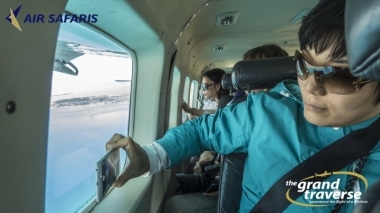 With specific flight seeing aircraft with 'wings above' Air Safaris guarantee every passenger their own window seat for unobstructed views of the features below. A full in flight commentary complements the views and educates passengers about the area also. If you fancy something a little more personal take a look at Air Safaris helicopters, specializing in flights for couples around the Mackenzie region and Mount Cook National Park. See our website for a full list of flight options. 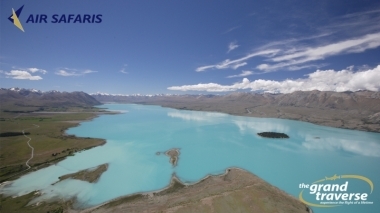 Nobody has reviewed Air Safaris - Lake Tekapo yet, Be the first. You are submitting a booking enquiry. 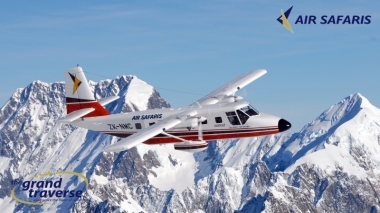 Air Safaris - Lake Tekapo will then contact you by email with details of availability and prices.